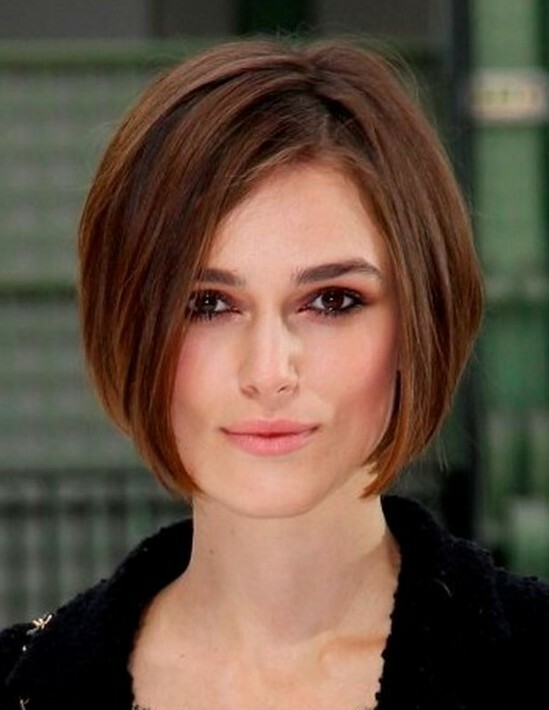 An angled bob is a very appealing and stylish cut for women. This makes you look more confident and stunning. If you want to take your style to another level, you have to know the right ways on how to style it. • Since angled bob hairstyle is characterized by the diagonally cut edges, it is important to maintain the style by getting regular trimming. Because hair grows continuously, the shape of the cut may change after 4 to 6 weeks. If you want to look fabulous, regularly drop by your stylist so the ends could be snipped. • Maintain the shine and bounce of your hair by using shampoo and conditioner. If your hair becomes frizzy, the angled bob may look horrid because the ends would not fall the right way. So, do your best to avoid hair damage. • Blow-drying should be a part of your daily ritual. You do not need to have professional stylists right by your side everyday, just like the Hollywood actresses. You can blow dry your hair perfectly on your own. After washing and towel-drying your hair, get rid of the tangles using a brush or comb. They key in achieving the right volume and style is in using medium settings of your blow dryer and working through the strands with a roller brush. For added volume, place the roller brush on the inner layer of your hair and gently pull away from the roots. • To add more body to your angled bob haircut, you can also tease the crown of your hair. To achieve the Hollywood glam look, use spray net to hold it in place. Just make sure that you apply moderate amount only so that it would not be too stiff. • If you have curly hair, you can achieve a very elegant and sophisticated look by creating different segments. Follow the natural wave or curl of your hair so it would be easier to style it. Apply hair mousse on each strand and twist them together. This will emphasize not just the angled layers but also the gracious curls of your hair. • Do not be afraid to accentuate! Angled bob already looks interesting because of its bolder cut. To add a little flair on your look, you can wear a thin headband or a small clip on the side. Even if you are not a celebrity, it is possible to look glamorous and fabulous. Just spend a few minutes of your time everyday so you can also make heads turn. Find more bob hairstyles here, and here is a gallery of bob hairstyles for you.